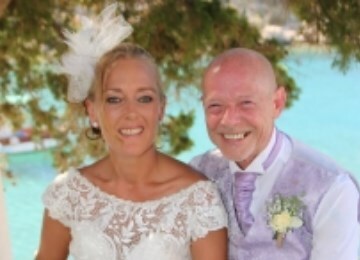 Having contacted a few wedding planners in Rhodes I was instantly drawn to the Unforgettable Rhodes Wedding team through their friendliness and professionalism. Right from the start I felt so comfortable and knew I could email Tracy at any time. They are very honest and I appreciated that. They want to make your day how you want it and nothing is too much trouble! Thank you all so much for all the effort you put in and your understanding when hotel changes had to be made at the last minute and I was panicking! Samina is an absolute gem managing to get all the make up and hair done to perfection! Justine and Michelle were fantastic on the day making sure everyone were where they should have been at the right times! Words cannot thank you all enough.x. Justine and the team were amazing from the word go!! 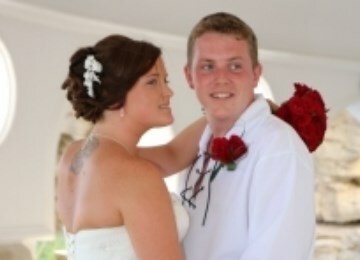 I could never have imagined how stress free a wedding abroad could be. The process of booking photographers, registrars, flowers, cars, a venue, someone for hair and makeup is all something that is renowned for causing endless amount of stress and pressure on the bride and groom (not so much groom) but all of the above and more is arranged and sorted with absolutely no stress, we simply told Justine and Tracy what we wanted and they did it! 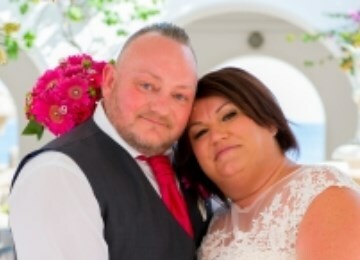 When we arrived in Rhodes we finally got a chance to meet Justine, she made us feel completely elated and told us her job was to make sure everything went to plan and our job was to enjoy our holiday and wedding (which we did!) Our day went without a hitch. It was just perfect! We received our photos (USB) before we left and they were phenomenal! I cannot fault our day or the preparation that must have gone into it. 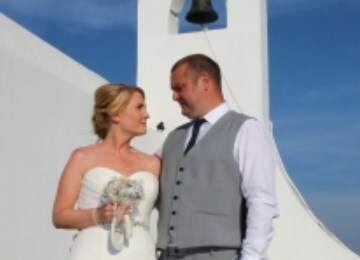 Anyone thinking of getting married in Rhodes should not use anyone other than Unforgettable Rhodes Weddings! Thank you for making sure our day was a dream come true! From the moment we chose Unforgettable Rhodes Weddings Shaun and I knew we had made the right decision. We met Justine while on holiday last year and she showed us around the venue we fell in love with the venue and we knew we would get on with Justine on the day. Tracy based in the UK has been fantastic with really quick replies to my emails and helpful with her advice. On arriving in Rhodes we met with Justine at our hotel and we ran through our planner to check the arrangements. On the day Justine and Natalie were fantastic the weather was scorching and they helped to keep us cool. We had a fantastic day and Justine should be really proud of her team we definitely picked the right wedding planner and the day couldn't have gone any better... wish we could do it all over again in 20 degree heat instead of 43!! Hello Justine and Tracy, We would like to thank you both for such a memorable day which everyone enjoyed. A day Denise, myself and all our guests will never forget. Denise would recommend the donkey even though she was nervous, she is so pleased she went with the traditional Greek mode of transport. Dad and everyone loved the donkey, his handler was lovely and very reassuring and the photos are brilliant. A huge thank you to the photographers who were exceptional and made us feel at ease and Michelle who looked after me during the wedding and at the town hall was lovely. Please if possible send our thanks to the florists, violinist & donkey handler and Den says a big cuddle for the donkey is a must. You were all brilliant and it truly was an "Unforgettable Rhodes Wedding". We both wanted to say the biggest thank you to you and the team for making our wedding day so perfect. Tracy was absolutely fantastic during the run up to it, she answered every question and every query we had, she was so friendly and lovely. Justine, you literally went above and beyond for us, we will never be able to thank you enough for all that you did Our wedding day was exactly how we imagined it would be, albeit it rained, but it made for some beautiful photographs. We would recommend you guys to anyone who was hoping to get married in Rhodes, you literally are unforgettable. If you’re looking for a wedding planner in Rhodes then I would definitely say look no further than unforgettable weddings. Justine and her team are amazing. 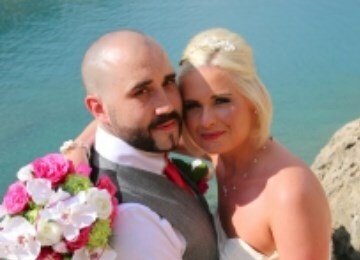 Every question you have is answered quickly they are always there for any help and offer great advice, they made the planning of our wedding stress free. We got married 5th October 2015 at the St Sofia chapel and had the most perfect amazing day. 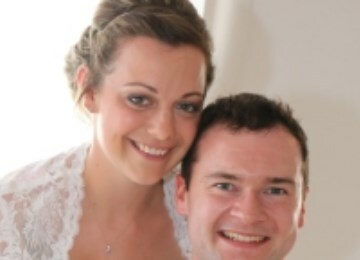 Thanks again to Justine, Tracy and Michelle - you can definitely trust them to help you plan your perfect wedding day.